I only needed ONE white, but bought two because I didn't know what the difference was between them !!! Perhaps you could make this clear in your catalogue????? 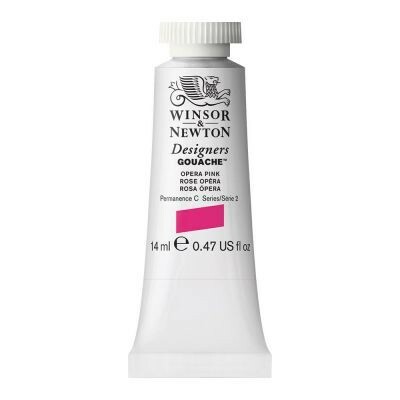 Ken Bromley's replies: We have some information about the whites in our info section here: http://www.artsupplies.co.uk/info-gouache.htm Basically, Permanent White is the whitest, most opaque white. It is not recommended for mixing as it can reduce the lightfastness of some colours. Zinc White produces the cleanest and most lightfast tints and is therefore recommended for colour mixing. Bleedproof White is used by designers to prevent underlayers from bleeding through. This is a temporary solution and is not appropriate for fine art use as bleeding will occur eventually. Laser White is similar in colour and opacity to Permanent White and can be used for colour mixing. Process White is designed for use in photographic retouching, where it will reproduce its true value.